At Bain Mazza & Debski LLP, we represent employees and victims of accidents on a contingency fee basis. This means that our clients do not owe us any money for our work on their case unless they accept a settlement or collect a judgment. In our employment law cases, our fee is 40 percent of the settlement or judgment. In our personal injury cases, if a client accepts a settlement for their case before a lawsuit has been filed, we receive 1/3 of the settlement as our fee. If a client accepts a settlement after a lawsuit has been filed or obtains a judgment, our fee is 40 percent of the settlement or judgment, which reflects the time-intensive nature of litigation. 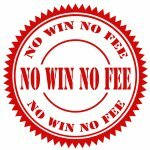 This contingent fee arrangement is ideal because the client does not have to pay attorneys’ fees unless we obtain a settlement that they are happy with and decide to accept, although clients may be responsible for covering the costs of litigation. For a flat rate of $500, our experienced attorneys will review your severance agreement of 15 pages or less. We can typically review your agreement and be ready to discuss it with you within 2 business days from when we receive your contract. Our attorneys will explain your agreement, suggest revisions, and answer any questions you have about the agreement before you sign it. Contact us today to have your agreement reviewed by an experienced employment lawyer to ensure that you understand what you are signing and that your rights are being protected.